In this podcast we discuss news from Comic Books, Video Games, TV Shows and Movies with a bit of Wrestling tossed in. We cover nerd culture! Please give a listen and provide some feedback. What did you like? Dislike? Want to hear more of? What would you like to hear about on a future episode? Episode 5: 4 Corners Podcast - Venom, IWGP 3 Way, Spiderman, Mario and Batman Everywhere! 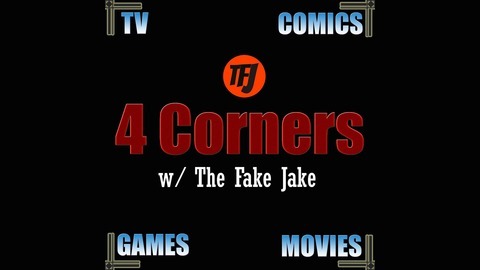 Welcome Everyone to the 4 Corners podcast. In this podcast, we discuss what is going on with Comics, Video Games, TV Shows, and Movies. We now have the Podcast Available on Apple Podcasts, Google Play, Stitcher, Spotify, TuneIn and more. We will continue to upload the podcast on Youtube later in the week. Go out of your way to watch a replay of the Main Event from NJPW King of Pro Wrestling. The Kenny Omega, Ibushi and Cody three way was just great and so fun to watch. It felt more for Being the Elite than the normal crowd but still rocked. The Bullet Club Firing Squad picked up new members with Gedo and Switchblade Jay White as well as Los Ignoberales de Japon adding recent DragonGate star Shingo Takagi. Chris Jericho made a “Surprise” return attacking Evil so it was good to at least see the IWGP Intercontinental Champion on the Card. There was some WWE action this past weekend in Australia with the Super Showdown but it honestly felt like a 4 hour Raw so sadly it didn’t stand out alot. Cedric Alexander and Buddy Murphy put on a great match though! Becky and Charlotte put in a solid performance on Smackdown. The Joker is dead. There is no doubt about that. But whether Batman finally snapped his scrawny neck or some other sinister force in Gotham City did the deed is still a mystery.Problem is, Batman can’t remember…and the more he digs into this labyrinthian case, the more his mind starts to doubt everything he’s uncovering. So who better to set him straight than…John Constantine? Problem with that is as much as John loves a good mystery, he loves messing with people’s heads even more. So with John’s “help,” the pair will delve into the sordid underbelly of Gotham as they race toward the mind-blowing truth of who murdered The Joker. We are going to establish a rating systems for our movie reviews on the Podcast here this week. 1 Thumb Down - This was hard to watch. A lot of things are wrong. 2 Thumbs Down - Fan4stic and Catwoman are having a double feature. We’re still completing out Youtube Walkthrough of Marvels Spiderman on the PS4. We will have a more thorough review soon but for now we are loving the gameplay as well as the Story. It’s a great story and there are hints this version could make an appearance in Into the Spider-Verse. WWE 2K19 is out now. Go check it out. Is anyone interested in some Streaming or YouTube content with this game? Thank you all for joining us today. 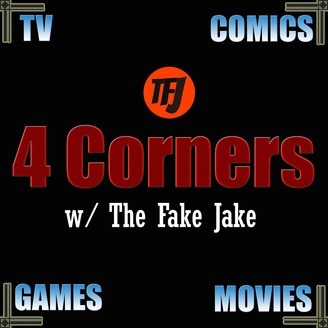 We will be back next week with another episode of the 4 Corners Podcast. Episode 3 : The Fantastic Four, Captain Marvel, Loki on TV, Capcom Beat Em Up Bundle and More!